We are extremly excited to announce our next album release to be out March 13th 2015. After having re-released the amazing albums from BURNING AIRLINES and CHANNELS on vinyl and the debut 7″ from OFFICE OF FUTURE PLANS, it is a big honor for us to make another album from one of J Robbins‘ bands available as a proper vinyl re-edition: “My Scrapbook Of Fatal Accidents” is the only album from JAWBOX that has never been out on wax. We always thought that this is something that should definitely happen one day, never even imagening this could happen on Arctic Rodeo. But here we go. Being one of our all time favorite bands, JAWBOX and the music scene around the band is one of the reasons Arctic Rodeo exists, so this album is very special for us and means a dream coming true. Just like the other bands J Robbins was a part of, JAWBOX had a huge influence on the music we like. Their albums are milestones in the history of independent music. J Robbins is also known for his work as a producer and engineer: He has worked with bands such as Pilot To Gunner, Small Brown Bike, The Promise Ring, Kerosene 454, Jets to Brazil, The Sword, Braid, Retisonic, Texas Is the Reason, Against Me!, Garrison, The Sword, Bluetip, Clutch, Coliseum, and many others. 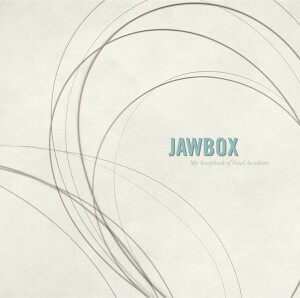 If you don’t know JAWBOX, here comes your chance to fall in love with their songs. “My Scrapbook Of Fatal Accidents” is a collection of rare and unreleased songs that has been released one year after the band had decided to call it quits in 1997. We will put out “My Scrapbook Of Fatal Accidents” as a double LP set including a free CD and 2 booklets with all kinds of infos and lots of photos, many of of them never seen before. All this will be housed in a high quality gatefold jacket. The pre-order will be up December 5th. There will be different vinyl color variations you can chose from. One vinyl color is going to be available for pre-order as ZUM HEIMATHAFEN ART SERIES #2 exclusively between December 5th and January 5th only, including an exclusive additional silkscreen art printed by hand and on demand. The ZUM HEIMATHAFEN ART SERIES is a strictly limited pre-order series of our vinyl releases available several weeks before release. For a few weeks, our vinyl records can be pre-ordered as a strictly limited package including the vinyl release on an exclusive vinyl color plus an exclusive silkscreen art which is printed and numbered by the hands of our friend Alex from Zum Heimathafen. These limited editions will be made on demand, so once the pre-ordering period of time is over, no more copies will be available. The ZUM HEIMATHAFEN ART SERIES is only available at our webstore and at the German mailorder Flight 13. If you want us to keep you posted about timings and further infos, please feel free to follow us at Twitter or via Facebook. “My Scrapbook Of Fatal Accidents” from JAWBOX is going to be ZUM HEIMATHAFEN ART SERIES #2. Let’s get ready for this. Thanks a lot for being interested.